My marriage to my wife of 36 years falls into that “other fifty percent” category so, quite naturally, I stopped and pondered those questions. I felt very satisfied with the answers and truly blessed for our loving relationship. I realized, though, that the answers to the first three questions were positive because the answer to the last question was positive. Until I became Catholic thirty years into our marriage, that aspect of marriage, unfortunately, hadn’t crossed my mind. When I made my vow at age 25 I was still fairly naive and immature, and couldn’t see the future past next week. But, I was madly in love with that beautiful young woman and wanted to spend the rest of my life with her. Last Friday, March 1st, was one of those days when I was able to connect the scripture passages from the Liturgy – the O.T. reading, Psalm, Alleluia, and the Gospel – to a common theme, and reflecting on them helped me align many thoughts about marriage. I know there have been tens of thousands of books written on the subject of marriage and why so many marriages fail, but I want to broach the subject if for no other reason than for my own edification. And, who knows, maybe it will help you in supporting a young couple planning to get married or a struggling, already married, couple. In the Alleluia, Jesus prays to the Father, “Consecrate them [the Apostles] in the truth. Your word is truth.” (Jn 17:17, NAB) Consecrate means to set them apart as priestly, or to be ordained, with their lives devoted to God. A priest’s life of devotion is his vocation, and its purpose is to do God’s will. In Mark’s Gospel, Jesus corrects the Pharisees on their interpretation of divorce by saying, “From the beginning of creation, ‘God made them male and female. For this reason a man shall leave his father and mother [and be joined to his wife], and the two shall become one flesh’ So, they are no longer two but one flesh.” (Mk10:6-8, NAB) God takes two people and unites them into one flesh. Two things cannot be truly united if they work against each other instead of for each other. Thus, this union of two into one consists of a consecration, a declaration that their lives will be devoted to each other. And, living a life of devotion is a vocation with its purpose to do God’s will. Just as “God’s will” didn’t cross my mind on my wedding day, it still doesn’t cross the minds of many couples before they enter into matrimony. Why is that? Well, I don’t think “God’s will”, is understood. Thankfully, Pope John Paul II, in his Theology of the Body gives us a hand. Keeping it simple: God, who is pure unselfish love, created us in His image and likeness, that is to love unselfishly like Him. John Paul II calls this “self-giving” love. It is love that is 100 percent directed toward the good of the other. That is “God’s will” for us in marriage, to unselfishly give of ourselves for the good of our spouse. Unfortunately, we each have an attitude of selfishness within us which, for many, may be too entrenched to be easily turned around. Why is that? John Paul II tells us it goes back to the Fall, when Adam and Eve realized their nakedness; when they suddenly realized their shame and became more concerned about themselves than each other. Their “self-giving” love became, as Dr. Sri calls it, “self-getting” love. This selfishness is the root of most marital problems. As I look back on my own marriage I can see where most of our growing pains were caused by our (well, mostly my own) selfishness, an unwillingness to share emotionally, allowing worldly things to come before our need to be physically present to each other, and our lopsided faith. You ask, “If this is a result of the original Fall of Man, then what can we do about it?” Well, it takes effort, and the hardest work of all, of course, is seeing within ourselves that which needs to be changed and then making the change for the good of another. And, it takes faith in God for the grace to make it work as perfectly as it should. This brings me, then, to the Psalm, (Ps 119:12,16,18,27,34-35, NAB). The psalmist is asking God to, “teach me Your statutes” (v.12). He eagerly wants to know God’s will. He will take delight in them and “never forget Your word.” (v.16). He wants to see the wonder and beauty of them clearly (v.18). He wants to understand them so he can ponder them (v. 27), and then, “observe them with all my heart” (v.34), “for that is my delight” (v.35). Therein lies the key to a successful marriage. We all know that life is never perfect, it never goes exactly as planned. It’s hard work and we struggle to make it better. Marriage is the same. The secret is to delight in loving selflessly with all our heart. Unfortunately, our human desire for selfish personal pleasure so easily overrides our desire to give of ourselves that husbands and wives often give up on trying to overcome it. And, without prayer for God’s divine assistance in their marriage, it is even more difficult. Reading these words a second time, I replaced the word “friends” with the word, “spouse”. It all made sense. Many marriages fail because couples rush to be married before they invest themselves in knowing each other well. They don’t look in the mirror – they want all the attributes mentioned above from their partner, but fail to own and exhibit the same attributes themselves. And finally, but most importantly, they fail to trust in the Lord to help them be the spouses they need to be – husbands and wives who persevere with patience, who are prudent, who are just to one another, and who have the fortitude to love each other unselfishly. I know every young couple wants their marital bliss to last forever. The reality, however, is that it doesn’t. The initial happiness and feeling of “being in love” wears off and husband and wife fall back into patterns of selfishness. There’s only one way to effectively turn it around and that’s through sacrificial love. May God bless you in your marriage and may you be an example for young couples to emulate. It’s 11 degrees F., outside this morning (well, technically yesterday morning since this isn’t getting posted until after midnight). It’s always a good morning when I’m meditating on the daily scripture but it’s especially a good morning to be doing so while sitting by a warm wood fire in the fireplace. With the warmth of the fire, the comfort of my favorite chair, and a cup of coffee in hand, my mind slipped back in time to exactly six years and ten months ago today when I heard Jesus call my name. His call to me was considerably more delicate and less dramatic than His call was to Saul, but no less effective. I wasn’t persecuting the Church or anyone in particular. Although I’d been married to a faithful Catholic for thirty years, I was neither here nor there with respect to religion. No, at the time I was simply in a place where the pressures of life had me pinned down to the point of suffocation. My work was not satisfying and it was keeping me from enjoying time with my family. I didn’t know if they loved me or if they knew how much I loved them. Looking back, I have to believe that, after 55 years, the Lord finally had me where He wanted me. It was also in His plan for two men to have befriended me, for those same two men to be on a Christ Renews His Parish giving team together, and for me to accept their invitation to attend the retreat thinking that I would find time to relax, get away from the stress, and reflect on my life. Little did I know my life was about to change. I saw more praying that day at the retreat than I’d seen my entire life. For the first time ever I heard men witness how Christ had changed their lives. But, mostly, I saw happy men whose hearts were full of love for others and who felt loved by their families and by the Lord. I knew my life was missing something. That night I couldn’t sleep. Something was happening to me that I couldn’t explain. Finally giving in, I got out of bed and went to my knees in prayer. Not knowing how to pray, I simply asked God to help me feel His love, to realize the love from my family and to know that they knew how much I loved them. It didn’t take long for God to answer my prayer. By noon the next day I’d received affirmations of love from all my family along with acknowledgement that they knew my love for them. I realized their love had been there all along but the darkness surrounding me had blinded me to it. And, I discovered God’s manifestation of love for me through friends I didn’t even know I had – friends who have since become, as the saying goes, more precious than gold. I don’t remember a friend ever speaking the words to me that Ananias said to Saul, but I felt them in my heart. I knew without being told that I needed to “get up and have myself baptized and my sins washed away”. So, without delay, I went to our Pastor the next day and asked to be taken into the Church. I also knew that I was called to be His witness to all I’d seen and heard. Shortly after my initiation into the Church I began contributing to this blog as a way of evangelizing to others. I hoped to show how I saw God working in my life so that others might more easily see Him working in theirs, too. I participated in subsequent Christ Renews His Parish retreats with the hope of seeing other men’s lukewarm, laissez faire faith catch on fire like mine had. And, through these experiences I discovered that many Catholic men yearn to grow in their faith but don’t know which way to turn nor to whom they can talk and, as a result, their fires often die. I prayed to find a way to help these men. Again, God answered my prayers by bringing to my attention the concept of spiritual mentorship. And, it wasn’t long before He confirmed His call to me to pursue becoming a spiritual mentor by introducing me to the Apostles of the Interior Life and their Catholic Spiritual Mentorship Program. That was two years ago, and this month I completed the two year program of study for certification as a Spiritual Mentor. I realized today that i have more zeal for helping other men grow in their relationships with Christ and live lives of holiness than I ever had in any of my real jobs – because this job is born of love. As a result of his conversion, St. Paul went on to convert entire civilizations and, from which, many individuals went on to become saints themselves. With God’s grace, I’ll just be happy if my conversion might become efficacious by bringing a handful of men closer to Him. Since yesterday’s Gospel was from Matthew 1:18-25, the story of the birth of Jesus, I meant to post this yesterday. But, I got busy with other stuff and forgot. Every year during Advent I think about St. Joseph and what was going through his heart and mind when he learned that his betrothed was carrying a child that wasn’t his. And, I’m reminded of Jason Gray’s song Forgiveness is a Miracle (A Song for Joseph) (link to YouTube music video) in which he paints for us a profound example of mercy that was offered by Joseph, and gives us some insight into the divine wisdom of God. Both the Gospel and the song help me to remember God’s will for me every day is always about love. I hope you enjoy the song, that it encourages you to find a way to grow in love and mercy, and that it helps you prepare your heart to be offered as a gift to our Lord on His birthday. Let me know what you think. 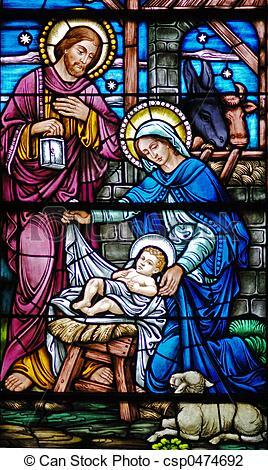 God bless you and may this be your best Advent and Christmas ever! About this time last year I was listening to a new CD I had purchased by my new favorite singer/songwriter, Jason Gray. The CD is called Christmas Stories: Repeat the Sounding Joy. One particular song on it, “Forgiveness Is A Miracle (A Song For Joseph)”, caught my attention because it was so different from any other Christmas song I had ever heard. Plus, its subject was something which I had never considered: what was going through Joseph’s mind and heart prior to, and during, his wife giving birth to not his son, but Jesus, the Son of God? I discovered that Jason Gray had written an article for The Rabbit Room describing the story behind the song and he explores this difficult situation in which Joseph found himself. I have re-posted his article below and included a link to The Rabbit Room’s website. I hope you find it as thought provoking as I did. As I approached writing songs for each of the characters in the Christmas story, I felt particularly protective of Joseph, who I think sometimes doesn’t get the attention he’s due. At the very least I know that I’ve been guilty of not really “seeing” him for the remarkable man that he was, and I wanted to amend that. I enlisted my friend Andy Gullahorn, one of the most masterful storytellers I know, to explore a particular moment in Joseph’s story with me. Taking my cue from Frederick Buechner’s book, “Peculiar Treasures,” in which he breathes new life into biblical characters who have grown so familiar to us that we no longer experience them as real human beings, I hoped to recapture some of the humanity of the people in the Christmas narrative. It was also important to me to try and write songs that were relevant beyond the four weeks between Thanksgiving and Christmas day. I wanted to tell timeless human stories, and with Joseph we have the makings of just that with a love triangle, a question of revenge or forgiveness, and the age old drama of fathers and sons. As I read his part in the narrative, I found that more than just a foster parent without much to do (as he was often relegated to in my mind), Joseph is revealed as a man after God’s own heart. Faced not only with the news that his fiancée is pregnant, but also with her incredulous story of how it was God’s doing, Joseph’s character is tested and laid out for all of us to see. What will he do? Will he hurt the one who has hurt him? Will he forgive? This is his moment, and all of history waits and watches in wonder. There are few things more painful than the betrayal and rejection by the one you love most, so we know it must have deeply wounded him—shattering the dreams he may have had of a future with the girl he loved. Pain is like a lightning bolt striking with a violent energy that can’t be held in the human heart for long. It looks for a way out. The way it usually passes through us is in the all too common progression of hurt turning into anger and then into vengeance. Unless the miracle of forgiveness takes place in a person’s heart to absorb it, the pain we experience will pass through us and be visited upon others. There is debate as to whether it was within Joseph’s power to have her stoned—while Jewish custom might have allowed it, Roman rule did not. However, if not to her body, we know he still could have done violence to her reputation and her heart. But I believe that Joseph did the hard work of bringing his pain to God rather than letting it pass through him, and that God graced him with the miracle of forgiveness. The narrative tells us he was a “godly man” and that instead of doing her harm, “he decided to dismiss her quietly” so that she wouldn’t be publicly shamed. He took the full force of the blow and–acting as the husband he might have been–became a covering over her supposed sin. It’s hard for us to experience the tension in Joseph’s story since, as the reader, we know from the start that she isn’t guilty of what he naturally supposes and that God is up to something beautiful that the world has never seen before. But to see Joseph for who he is, I have to remember that he couldn’t know these things in real time. It was only after he had given himself to the work of forgiveness that the angel appeared to him in a dream to tell him that what Mary had said was true after all, and that he should marry her. It occurred to me that perhaps this is where Joseph’s heart was proven—if not to God who already knew his heart, then perhaps to himself. (I haven’t met a man yet who isn’t daunted by the responsibility of being a father, let alone a father to the Son of God. Maybe this was a test to reveal to Joseph what kind of man he could be.) In this moment he is found to be a man of mercy, which I imagine to be just the kind of man that God was looking for to be the earthly father of his son Jesus. In a way, we see that Joseph carries in his heart the same world changing power of forgiveness that Mary carried in her womb. It’s also meaningful to me to think of how Joseph forgiving Mary is part of the story that leads to the birth of the savior in whom Joseph would find forgiveness for his own sins. Perhaps it’s the narrative form of Jesus’ teaching that as we forgive we find ourselves forgiven. As we wrote the song, it was good to be reminded that forgiveness is a kind of miracle. I could be wrong, but I’m not sure that we can muster up forgiveness on our own. It seems to me to be a supernatural force of renewal that we participate in as we point our hearts toward it, pray for it, and make room for it in our lives, but that ultimately we receive it as a gift from God, in his due time. Did her betrayal leave you raging? When she said the child was not your baby? Did you lose sleep over what to do? ©2018 Reflections of a Lay Catholic. Reposting and sharing of material in its full and original content is permitted, provided that full and clear credit is given to the author(s) and Reflections of a Lay Catholic. In today’s Gospel, Jesus tells the scholar of the law that the greatest commandment isn’t just about loving God with all your heart, being, strength and mind, but also loving your neighbor as yourself. And, in His parable about the Good Samaritan, Jesus defines our neighbor as anyone who is near us, regardless of race, gender, social status, age, and political or religious beliefs. He asks us to be observant of our neighbors, and to look for opportunities to be charitable, especially in their times of need, even when doing so is inconvenient or forces us out of our comfort zones. In other words, He asks us to be merciful as He is merciful. As I normally do each morning during my prayer and meditation on the day’s scripture, I try to relate to what God is revealing to me through His Word, and then write a resolution to do something along those lines that will help me grow closer to Him today. I pondered, “In what situations will I find myself today in which I can observe others and look for opportunities to be merciful?” And, then I realized my main plan for the day, besides going to morning Mass, was to stay home and work in the yard. I wasn’t going to have much of a chance to observe others. Falling back into prayer, I asked, “Lord, unless You want me to scrap my plans to weed and spread mulch and go someplace where I can observe others, what else do You have for me today?” As I listened, my mind came back to today’s first reading from St. Paul’s letter to the Galatians in which Paul reaches out to the new Christians after others had perverted his teaching and led them astray. Paul’s mission was to convert souls, never giving up no matter how frustrating or exhausting it was to him. I thought how lucky the people of Galatia were to have had Paul reach out to them as their Good Samaritan, and how they should have been thankful. Then I remembered a time when some good Samaritans made it their mission to save my soul by bringing me to Christ. At a time when I was hurting spiritually, two couples, in cahoots with my wife, gently but persistently preached the Word of God through their actions and set the stage for me to meet with our Lord through His Holy Spirit. Had they not been the faithful, on-fire disciples that they are, they could have easily passed me by as I lay on my “road to Jericho” struggling for survival. With prayers of thanksgiving for opening my heart to this revelation, I made it my resolution today to thank God, for the millionth time, for placing these merciful friends, who didn’t steer clear and look the other way, in my life at the time when I needed them most. Jesus tells us it’s a package deal. When someone who loves me asks me to do something, I’m expected to obey and respond lovingly. To do otherwise is not loving that person. Thus, I can’t truly love God if I don’t love my neighbor. I need to let that sink in. Sheltering the Homeless is the most visible sign of our efforts. Although those whom we help are not actually homeless, they cannot afford to maintain their homes. By repairing their homes, we, in a sense, are possibly keeping them from becoming homeless. We Feed the Hungry by preparing lunches for those at whose houses we will be working. Lunch may only be a couple sandwiches, chips, an apple, and a few cookies, but it might be their best meal of the week. I love to watch the kids fight each morning over who is going to make the lunch for the family and the put their love into making it. We’ve given Drink to the Thirsty, by repairing plumbing, or, in once instance, connecting plumbing to a house which previously only had access to dirty well water. We have Clothed the Naked by donating gently used clothing to be made available at Hand in Hand’s Auxier Center. By building wheelchair ramps for homeowners, we have liberated them from the confines of their homes, thus Comforting the Sick by reaching out and relieving their isolation and loneliness. We don’t stop by the local jailhouse to Visit the Imprisoned, rather, we offer those who may have no family or friends a way out of seclusion and loneliness, and the imprisonment of poverty. We’ve Buried the Dead. Well, not literally, but I recall witnessing our youths show amazing compassion to a widower whose wife had just died a few days before. We’ve also had the opportunity to offer Spiritual Works of Mercy by being witnesses to Jesus and spreading the knowledge of His love; by quenching the thirst and satisfying the hunger of those who need affirmation and compassion; by restoring the dignity of men and women who’ve forgotten what it means; by being present and relieving the suffering of those who yearn to feel as though they matter; and by praying for each other and those whom we are serving. I also look forward to the many other positive revelations that come from within our own group, especially the growth in spirit and maturity among our youths, e.g. : High-schoolers who haven’t cleaned their rooms in months treating homeowner’s personal belongings with care and respect; volunteers, young and old, making it their “job” for that day to be a caring friend to the homeowner yearning for company; experienced craftsmen watching out for the safety of the less skilled and helping them learn; and kids volunteering to take a dirty job so that another can rest and get a cold drink of water. They make me proud to associate with them! And, as we go around the room on our last morning reflecting on the highs and lows of the week, I’ve seen humility that would make Jesus proud! The cost for an individual to attend an Appalachian Immersion Mission trip is $250.00. The ability for many in our group to go, especially the youths, is dependent on financial assistance from benevolent donors. Won’t you please consider helping to “fill your empty neighbor” and help others in need by making a generous donation? You can make an on-line donation at this link St. Francis de Sales Mission Trip Donations. This morning as I knelt before Your altar I gave You thanks for all my prayers, my work, my joy and my sufferings. Then, I offered them up to You as a gift for You to use and apply towards the intentions of all my family and friends, and especially for the intentions of the Holy Father. You took my gift, transfigured it, and re-gifted it to me in the form of pure love – Your Body, Blood, Soul and Divinity in the Holy Eucharist. More love than I myself can fathom. In return, all You ask is that I recognize Your presence in everyone I meet and re-gift all that I can’t use to others who need it. And, that’s just about everybody. Tomorrow we’ll repeat the process. Same gift. Different day. Today, 5 September 2017, is the Memorial of Saint Teresa of Calcutta and it marks the 20th anniversary of her death. When I wrote the following post two years ago yesterday, I didn’t know I was writing it on the eve of the anniversary of her death. Nor did I know that Blessed Teresa of Calcutta would become Saint Teresa of Calcutta exactly one year later. No, I wrote it simply because I was deeply moved by the meditation, I Thirst For You, which is attributed to Saint Teresa. The meditation still moves me today and is one I fall back on when I’m feeling the need to be lifted up. I hope it lifts you up as it does me. Every now and then something comes along that is so special you can’t get it out of your mind. You keep revisiting it and replaying it. And, each time you do, you find one more nugget of inspiration that convinces you to repeat the process again. Such has been my case ever since a friend shared a special meditation with our men’s faith sharing group a couple years ago. The meditation is titled, I Thirst For You, and its authorship is attributed to Blessed Mother Teresa. My friend read it to our group, in his baritone voice, slowly and with immense feeling. I closed my eyes and visualized as if Jesus was the One actually speaking to me. I was blown away. I could feel His love flowing over me. Since that evening I have heard my friend read it a couple more times and I still get goose bumps. I have read it many times since, both to myself and to others, and each time I seem to focus on and ruminate over a new word or phrase that jumps out at me. I always find something new that brings me joy. I read it again tonight and I thought back to that first time I heard it. I remembered how none of the six or seven of us men had ever heard the meditation before then, and I wondered how many other faithful Catholics have never heard it, either. It ought to be on the reading list of every Catholic. No, actually, it ought to be on the reading list of every Christian, not just Catholics. So, I decided to post it here on this blog and share it with all readers. I hope you get goose bumps, too. Hint: Read this slowly and with feeling. When a word or phrase grabs your attention, take a moment to reflect on what it is Christ is trying to tell you at that moment. Then, I encourage you to share this with others and ask someone else to read it to you while you listen with your eyes closed and soak up its message. You won’t regret it. Let me know what you think. And I want you to know that whenever you invite Me, I do come – always, without fail. Silent and unseen I come, but with infinite power and love, and bringing the many gifts of My spirit. I come with My mercy, with My desire to forgive and heal you and with a love for you beyond your comprehension – a love every bit as great as the love I have received from the Father (“As much as the Father has loved me, I have loved you…”[John.15:9]). I come – longing to console you and give you strength, to lift you up and bind all your wounds. I bring you My light, to dispel your darkness and all your doubts. I come with My power, that I might carry you and all of your burdens; with My grace, to touch your heart and transform your life; and My peace I give to still your soul. I know you through and through. I know everything about you. The very hairs of your head I have numbered. Nothing in your life is unimportant to Me. I have followed you through the years, and I have always loved you – even in your wanderings. I know everyone of your problems. I know your needs and your worries. And yes, I know all your sins. But I tell you again that I love you – not for what you have or haven’t done – I love you for you, for the beauty and dignity My Father gave you by creating you in His own image. It is a dignity you have often forgotten, a beauty you have tarnished by sin. But I love you as you are, and I have shed My Blood to win you back. If you only ask Me with faith, My grace will touch all that needs changing in your life, and I will give you the strength to free yourself from sin and all its destructive power. I know what is in your heart – I know your loneliness and all your hurts – the rejections, the judgments, the humiliations. I carried it all before you. And I carried it all for you, so you might share My strength and victory. I know especially your need for love – how you are thirsting to be loved and cherished. But how often have you thirsted in vain, by seeking that love selfishly, striving to fill the emptiness inside you with passing pleasures – with the even greater emptiness of sin. Do you thirst for love? “Come to Me all of you who thirst…”(John 7:37). I will satisfy you and fill you. Do you thirst to be cherished? I cherish you more than you can imagine – to the point of dying on a cross for you. I thirst for you. Yes, that is the only way to even begin to describe My love for you: I THIRST FOR YOU. I thirst to love you and to be loved by you – that is how precious you are to Me. I THIRST FOR YOU. Come to Me and I will fill your heart and heal your wounds. I will make you a new creation and give you peace, even in all your trials. I THIRST FOR YOU. You must never doubt My mercy, My acceptance of you, My desire to forgive, My longing to bless you and live My life in you. I THIRST FOR YOU. If you feel unimportant in the eyes of the world, that matters not at all. For Me, there is no one any more important in the entire world than you. I THIRST FOR YOU. Open to Me, come to Me, thirst for Me, give Me your life – and I will prove to you how important you are to My Heart. Don’t you realize that My Father already has a perfect plan to transform your life, beginning from this moment? Trust in Me. Ask Me every day to enter and take charge of your life – and I will. I promise you before My father in heaven that I will work miracles in your life. Why would I do this? Because I THIRST FOR YOU. All I ask of you is that you entrust yourself to Me completely. I will do all the rest. Even now I behold the place My Father has prepared for you in My kingdom. Remember that you are a pilgrim in this life, on a journey home. Sin can never satisfy you or bring the peace you seek. All that you have sought outside of Me has only left you more empty, so do not cling to the things of this life. Above all, do not run from Me when you fall. Come to Me without delay. When you give Me your sins, you give Me the joy of being your Savior. There is nothing I cannot forgive and heal, so come now and unburden your soul. No matter how far you may wander, no matter how often you forget Me, no matter how many crosses you may bear in this life, there is one thing I want you to always remember, one thing that will never change: I THIRST FOR YOU – just as you are. You don’t need to change to believe in My love, for it will be your belief in My love that will change you. You forget Me, and yet I am seeking you every moment of the day – standing at the door of your heart and knocking. Do you find this hard to believe? Then look at the cross, look at My Heart that was pierced for you. Have you not understood My cross? Then listen again to the words I spoke there – for they tell you clearly why I endured all this for you: ”I THIRST….”(John 19:28). Yes, I thirst for you – as the rest of the psalm – verse I was praying says of Me: “I looked for love, and I found none…”(Ps 69:20). All your life I have been looking for your love – I have never stopped seeking to love you and be loved by you. You have tried many other things in your search for happiness; why not try opening your heart to Me, right now, more than you ever have before.